I’ve been inexplicably, severely dizzy for the last four days. Today I suddenly developed an intense headache, so we decided I needed to see doctor of the non-google variety. At the emergency room I was given an IV with all sorts of magical drugs that made me feel gooooooood. Like morphine! Yay. I had a CT scan and luckily everything checked out ok. Once the doctors ruled out an aneurysm or stroke, I asked to go home. The ER was totally slammed so they discharged me with instructions to see Dr. Loooove ASAP. Ok! So now I’m home and I’m totally floating on a cloud of morphine. I’m itching because I’m allergic to morphine. I told the nurse that but he said he’d give me benadryl for the itchiness and now I’m home with no nurse and no benadryl. Fail! So instead of scratching my face off, I’m instead going to update my blog and hope that the spell check kicks in and also that I don’t write anything bad and maybe keep my fingers crossed that any of this makes sense. It’s hard to type with your fingers crossed. Mike got a jobby job! YAY! When I was put on bed rest, Mike was teaching high school at an inner city school. He gave up his classroom to take care of me, and then when Maddie came home he stayed home with her. Over the summer he started freelance copy-writing with a music company. He did a great job for the company and they loved him, so at the beginning of this month they brought him on full-time. It’s such a relief, and so awesome that all of Mike’s hard work paid off. In a few months the health insurance will kick in, and then we’ll be rollin rollin rollin. At the ER tonight, Mike stepped out to get some food and an administrator came over to make sure all my information was correct. He asked me who my insurance provider was, and I said, “you know. The Snake.” (I love morphine and other magic drugs). It took him a while to figure out I meant Cobra. Don’t call child protective or animal services! Maddie and Rigby are with my parents tonight on account of my druggedness. My medicines are starting to wear off and I’m starting to get spinny again, so I think I should probably stop typing and start sleeping. Or start scratching my itchy face. ITCHY! Don’t itch too much and I hope you’re feeling better soon. I’ll scratch you if you’ll share some morphine….please feel better soon. The snake! That’s fabulous. You’re adorable. And yikes, I hope you keep feeling better. And congrats, Mr. Mike! Oh no sweetie- feel better soon! 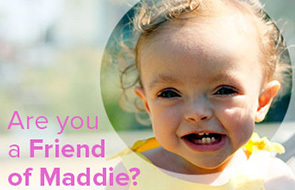 Wish you were close, we would totally take care of maddie- I mean, what’s another baby? that’s so great for Mike…and sounds like a job that’s totally perfect for him too! I’m so sorry about your allergy. How sad that you can’t fully enjoy the morphine! I love you on Morphine! Also, I hope you feel better soon! Congrats to Mike!! Who rocks the house? Mike does! Oh and BTW, in regards to the morphine? You may want to invest in some stool softener…causes MAD constipation….I know you wanted to know that, but really? do you want that on top of everything else? Hope you feel better soon, although I can’t wait to read more morphine-induced Spohrness. And, yay, Mike has a job! I am so happy for you guys. Love Anissa’s note of caution. Now, start softening and stop scratching. And feel better. DOOD, you totally get a big fat FAIL for not mentioning this on the phone today. BUT, I’m glad you’re clearly feeling better, or I’m SURE you would have said something. *MWAH* No more hospital visits for ANYONE for at least six months, mkay? AMomTwoBoyss last blog post..Bloggy Holiday Card Exchange!!! Yay for Mike! I hope you get to feeling better quickly. this post rocks… and YAY to Mike. That had to be a tremendous weight off your shoulders! PS: Sorry for my lateness here… holidays and all.